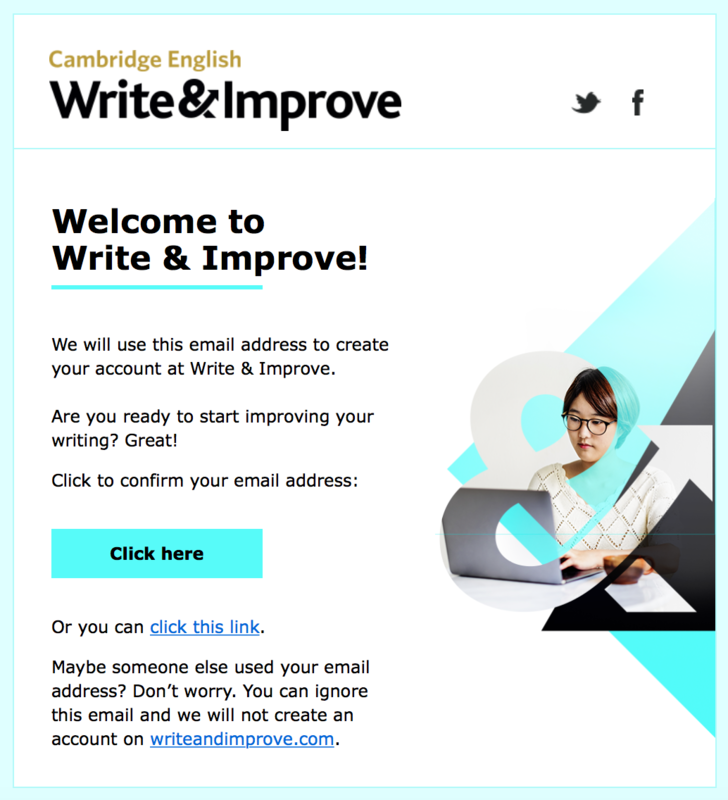 Write & Improve needs to verify your e-mail address before you can sign in. This article explains. Before you can use your e-mail address to sign in, you need to verify it with Write & Improve. You can do this by clicking the link in the email that we sent you after you created your profile. If you still can't find the email, then you can create your profile again and we will resend it. Once you have confirmed your email address you will be signed in and can then attempt tasks as many times as you like without being asked to create a profile. In addition, you will be able to use Write & Improve on your laptop, desktop, tablet or mobile phone and your work will be saved on all your devices. You will also be able to create your own workbooks and tasks, so you can easily make a task that asks you to 'Write something on any topic you like'.